Introducing the 7SECONDS BlowOut Crème that delivers a long-lasting blowout with ease. Its blow-controlling formula extends the life of your blowout by eliminating frizz, leaving hair smooth and shiny without buildup. Pre-Application: Shampoo and Condition with 7SECONDS Shampoo and Conditioner, or your favorite UNITE Cleanse and Condition system. Towel dry and apply 7SECONDS Condition Detangler spray and comb through to ends. Do not rinse. 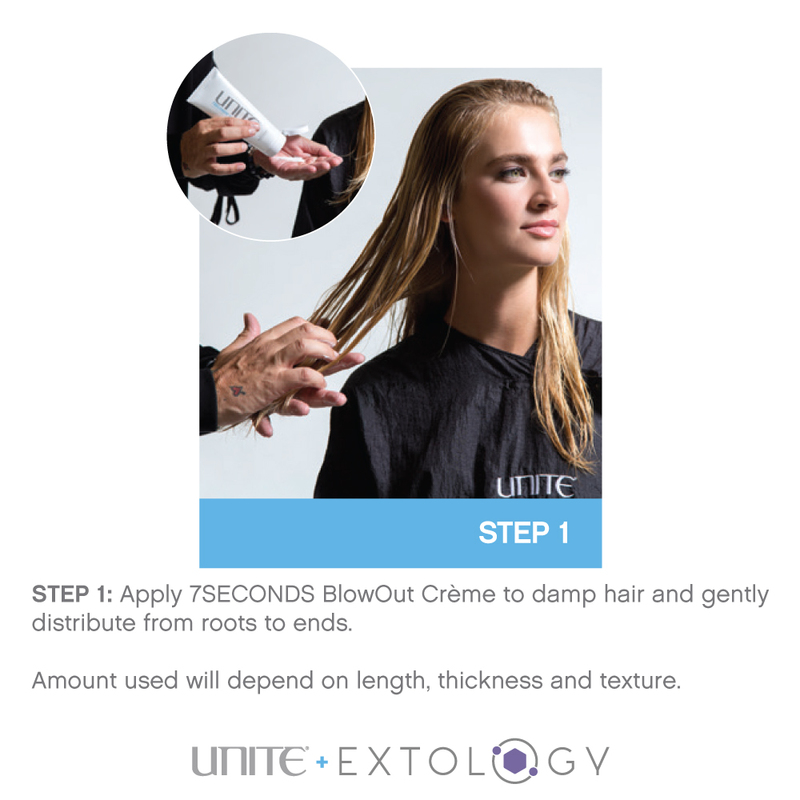 Step 1: Apply 7SECONDS BlowOut Crème to damp hair and gently distribute from roots to ends. 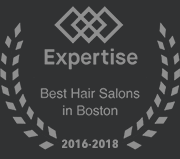 Amount used will depend on length, thickness and texture. Step 2: Rough-dry hair about 90% to remove excess water. Then section hair into five sections. Using a UNITE Thermal Round brush work each section separately, starting from the back, moving on to sides and finishing with top section. 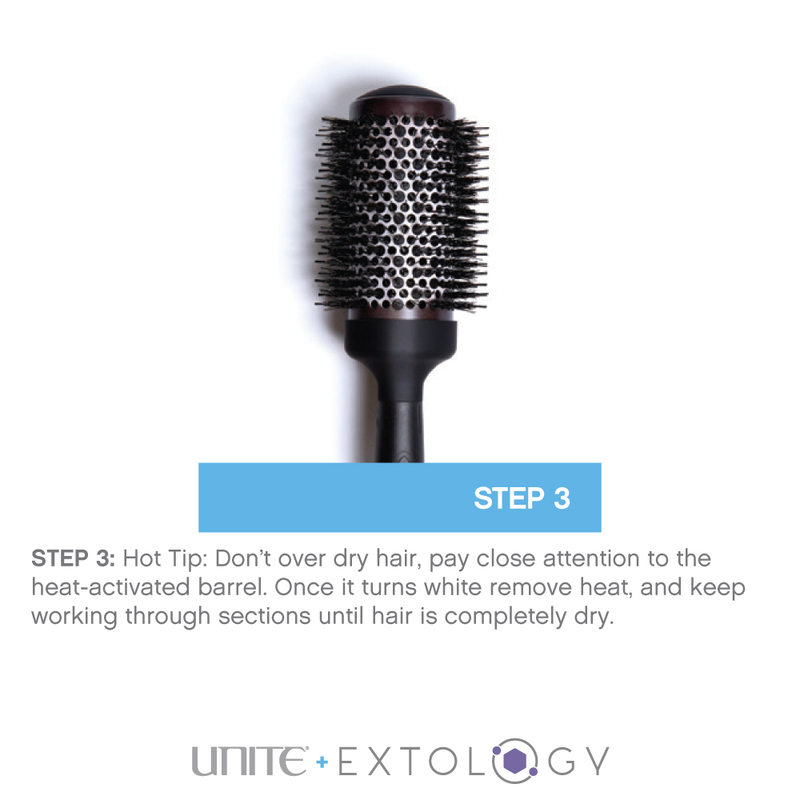 Step 3: Hot Tip: Don’t over dry hair, pay close attention to the heat-activated barrel. Once it turns white remove heat, and keep working through sections until hair is completely dry. Step 4: First add volume by placing brush at root base, pulling the brush and dryer up and away from scalp. Step 5: Then add smoothness and shine by holding brush and dryer downward continuing to work through to ends until dry. 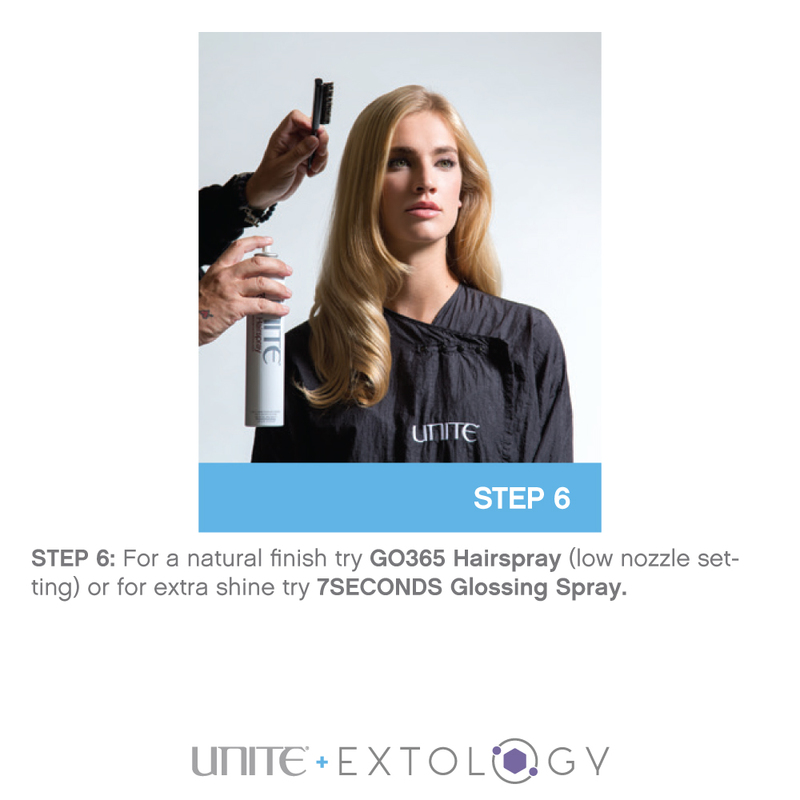 Step 6: For a natural finish try GO365 Hairspray (low nozzle setting) or for extra shine try 7SECONDS Glossing Spray. We hope you enjoyed this hair tutorial, check out our other blog posts about Unite hair care products, hair trends and hair tips. As always we are here to help, you can reach out to us at any time! 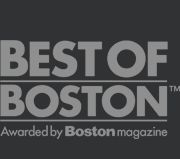 Next PostIs It Time For Your Hair Makeover?